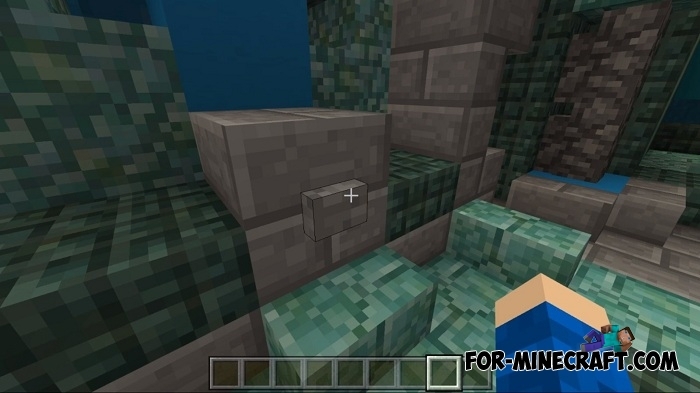 Yes, this is not the first Aquatic Edition map for Minecraft Bedrock Edition, but you will definitely like it. Most players have already seen the main features of this update and are well aware of how new mobs behave or how new blocks work. But those players who have not yet had time to try the water update and really want to get acquainted with it in a playful way can download this map. 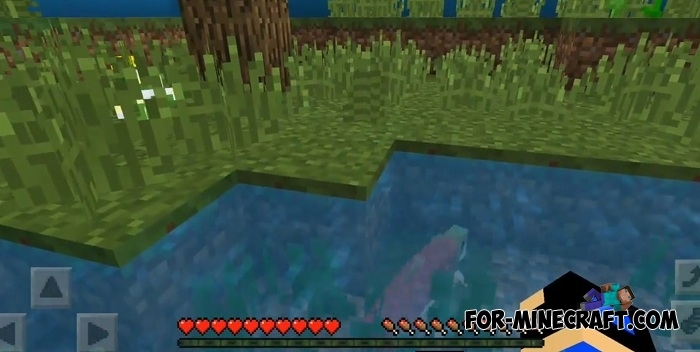 Of course, the map will not show you everything that was added to Minecraft 1.5, but many new creatures such as dolphins and turtles as well as blocks and physical properties of the water will fully demonstrate their characteristics. 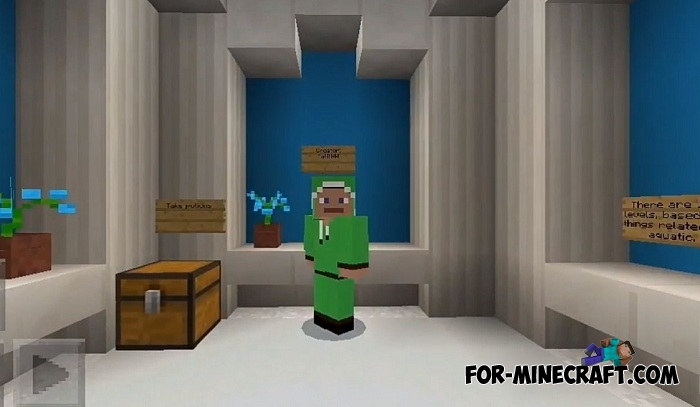 The optimal version of the game is MCPE 1.5 Release or version 1.5.1.